During informal interviews, each person shared a story, explaining under which circumstances they left their homes, how they fled, which routes they followed and how they finally found their way to Norway. They talked about their hometowns, friends, struggles and many hopes for their countries, families and futures. “Each time I draw, I bring a new life onto the paper, a unique face inspired by a real person. The process of creating these new identities brings me tremendous joy. 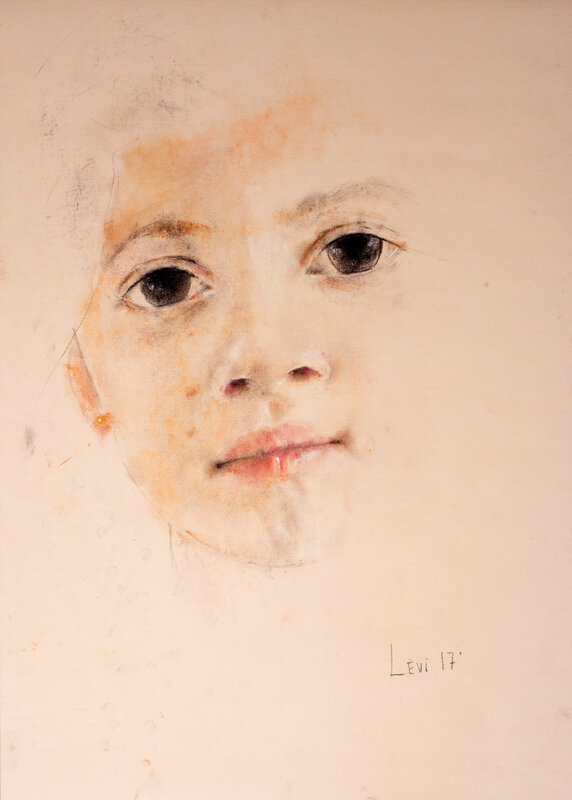 I strive to build portraits that generate a curiosity about the person drawn. 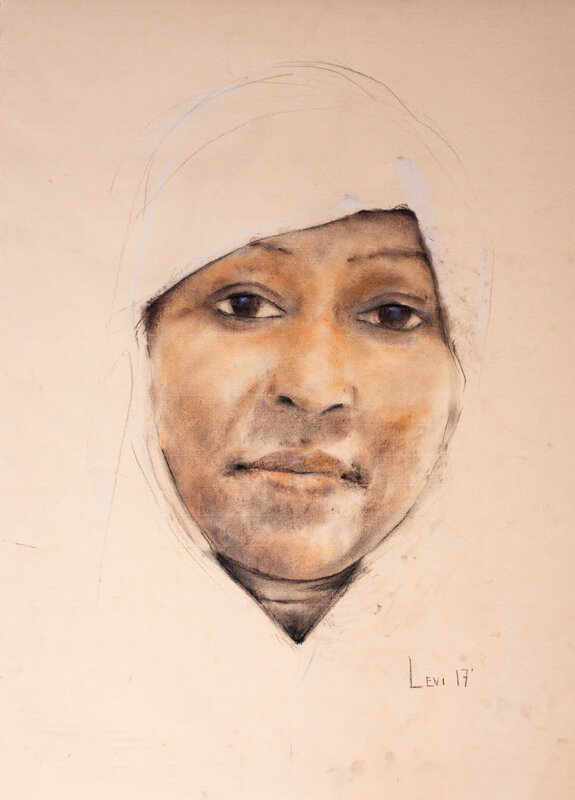 Portraits that call for an emotional response from the viewer. 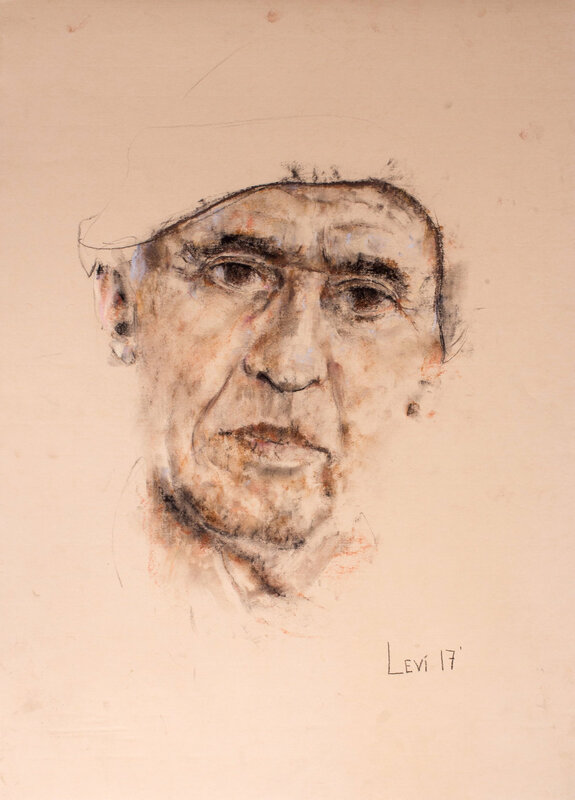 Each layer of charcoal and pastels adds depth of character and personality to each portrait” Levi explains. Beyond a representation, these drawings are a visual study of the elements that makes us human. 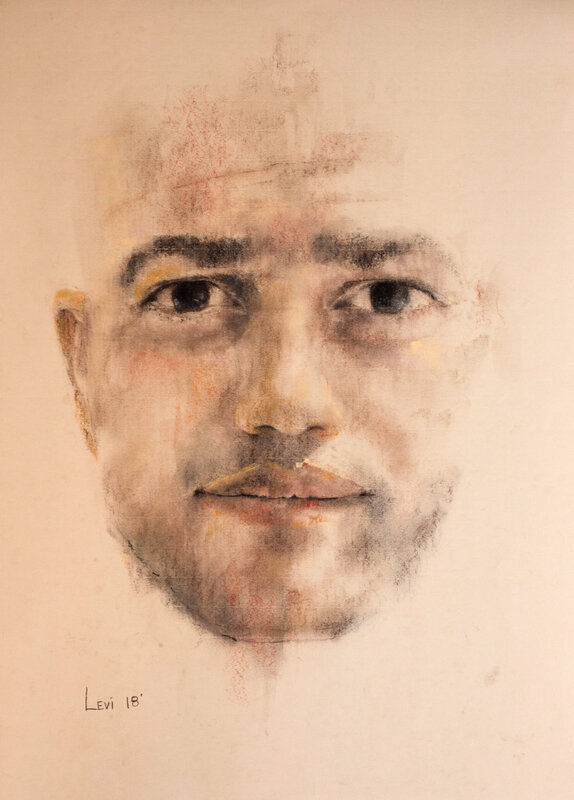 The human gaze in these portraits expose an archaic element of our existence. It is a commentary on the human experience and reminds us of what is true and enduring.